For most of her life, Lois has been in service to improve the lives of young people both professionally and personally. She has worked almost exclusively for causes that support young or disadvantaged people. Lois and her two children have lived in Santa Clarita since 1983. She remained an active volunteer in Santa Clarita during her years working in the San Fernando Valley, creating relationships with the philanthropic community in the SCV that have fostered improvement in the lives of its fellow citizens. In addition to community service previously listed, she participated fully in parental projects for Meadows School PTA for a year; Placerita Junior High School for four years; and Hart Football for three years. She was named AFP Fundraiser of the Year, San Fernando Valley Region in 2004, Zontian of the Year in 2006, and received the 2012 Empowering Hearts Award by SCV Single Mothers Outreach. Because of this involvement, her service to Zonta has had a strong impact since she takes responsibility for promoting the Zonta name in the community. Lois is a proud ambassador for the work that Zontians do with service projects and scholarships. She is regularly featured as a speaker to nonprofit organizations who seek to learn more about leadership, nonprofit management, fundraising, and volunteer manager. 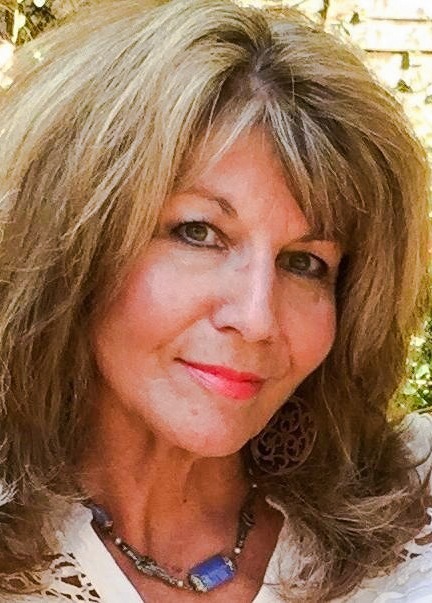 She has been asked to speak regularly at the College of the Canyons leadership forums, and she has helped numerous other organizations including the SCV Chamber of Commerce Leadership Academy, the Girl Scouts, and the SCV Domestic Violence Center as a speaker, a workshop director, a grant writer, and a mentor. Cindy Beals has been a valuable asset to the Friends of Hart Park for many years, serving as treasurer and balancing the various committees’ books to ensure the success of activities like the annual Hart Park Powwow, Silents Under the Start, Bill Hart Birthday event and other programs put on by the Friends throughout the year. The fundraisers benefit the families served at Hart Park and help to augment the operating budgets of the Hart mansion and grounds. Owner of her own accounting, office administration, and Notary business, Cindy has been a Santa Clarita Valley resident since 1993. Born and raised in the San Fernando Valley, her mother was a registered nurse and her grandfather was a decorated war hero and pediatrician. Cindy and her husband have been married for 17 years. They met at a local nonprofit World Team Tennis league event. Cindy enjoys reading, gardening, tennis, and biking. 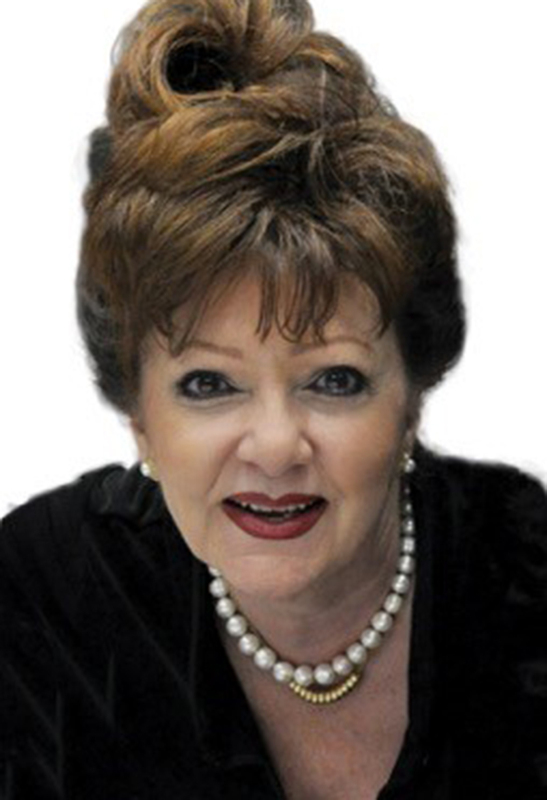 Marianne Cederlind began her career in banking in 1979 at Manufacturer’s Bank. She has an extensive working knowledge of both operational and lending functions, having served in positions in each of these areas. 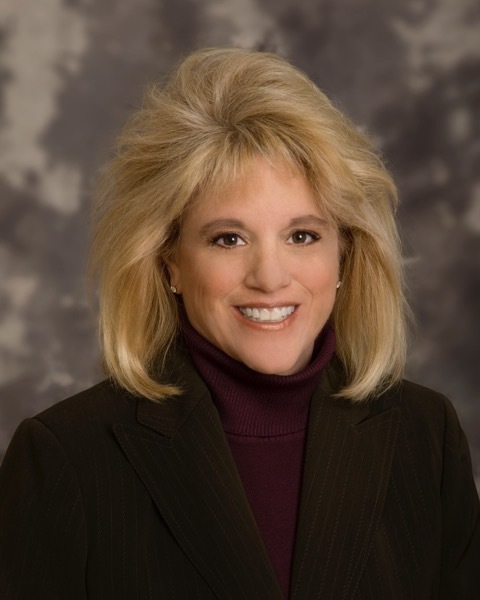 As one of the founder’s and executive officers of American Pacific State Bank, Marianne assisted in the founding and organization of Mission Valley Bank. During the early years, in addition to serving as a full-time commercial lender and business development officer, she oversaw the branch operations and marketing as well as assisting in finance and credit administration responsibilities. She currently serves as senior vice president/chief business banking officer, overseeing and actively involved in Sales & Marketing, Business Development, Lending, and the Branches. Additionally, she serves on the Executive, ALCO and Loan & Investment Committees. Marianne has a Bachelor’s Degree in Business Administration from the University of Phoenix and is a graduate of the University of Wisconsin’s Graduate School of Banking. Marianne has been instrumental in working with Carousel’s board to increase participation and rally together as a team to accomplish the major tasks at hand. Right before she became president, the organization reopened its capital campaign when it received a lead gift of $75,000 on the condition that it be matched. Marianne was a major force in making sure that happened. She personally brought in nearly $15,000, while leading the organization through the campaign to reach its goal. The longtime dream of a covered arena has been augmented through Marianne’s efforts. Marianne is now focused on the program’s future. She has led the board through a Strategic Planning Process to guide the organization through the next several years. With the new plan in place and moving forward, Marianne is determined to bring Carousel Ranch to the next level, creating long-term sustainability and the ability to serve more children. In addition to her work at Carousel Ranch, Marianne is a proud mom and grandmother. She remains active in a number of nonprofits and community associations. Bill Cooper was born and raised in the small farming community of Sterling, Colorado. He joined the Navy in 1964, and was assigned to the USS Bennington out of the Port of Long Beach. Following his three tours of duty in Vietnam (he received the Vietnam Service Medal with three bronze stars), he returned to California where he married his first wife, Jean, in 1969. Following the 1971 earthquake, the couple moved to the SCV. At this time Bill was working for the Metropolitan Water District. During this period, he continued his education and received a degree in Environmental Science. He and Jean had two children, Christie and Ken. Shortly thereafter, tragedy struck – Jean was diagnosed with advanced melanoma and passed away in 2006. An introduction to his sister’s friend Valerie led to marriage in 2009. Today, Bill and Valerie lead active lives in the SCV revolving around water, volunteering and being grandparents to Lauren, 11, and Jack, 3. 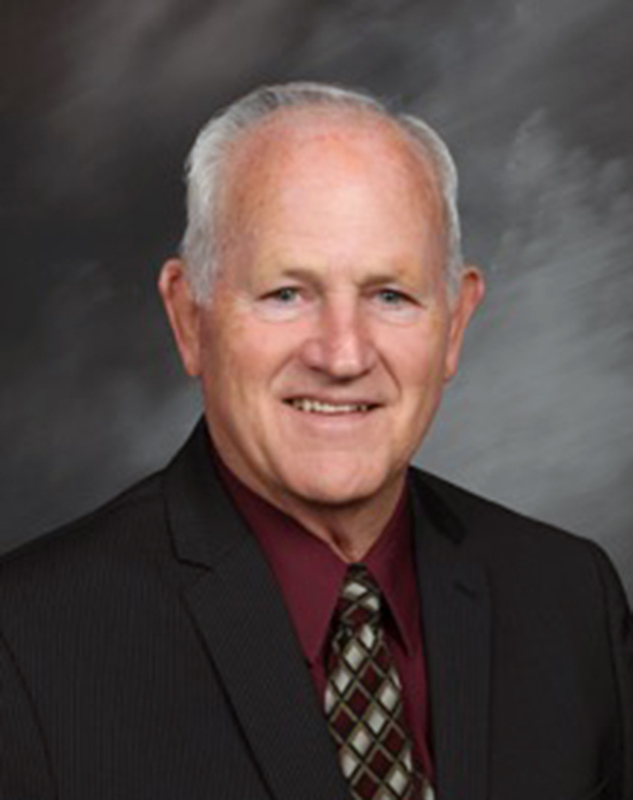 Bill was elected to the Castaic Lake Water Agency board in 1992 and has served as president for five years and has held numerous committee assignments, including chair of the Planning and Engineering Committee that helps develop the plans for our valley’s water infrastructure. Bill joined the Child & Family Center Foundation in its very first year, 1998. He has worked on numerous committees, and co-chaired the start of the Guardians of Hope program which has now raised over $600,000 to assist the Child & Family Center in meeting the needs of those that the standard programs cannot fund. 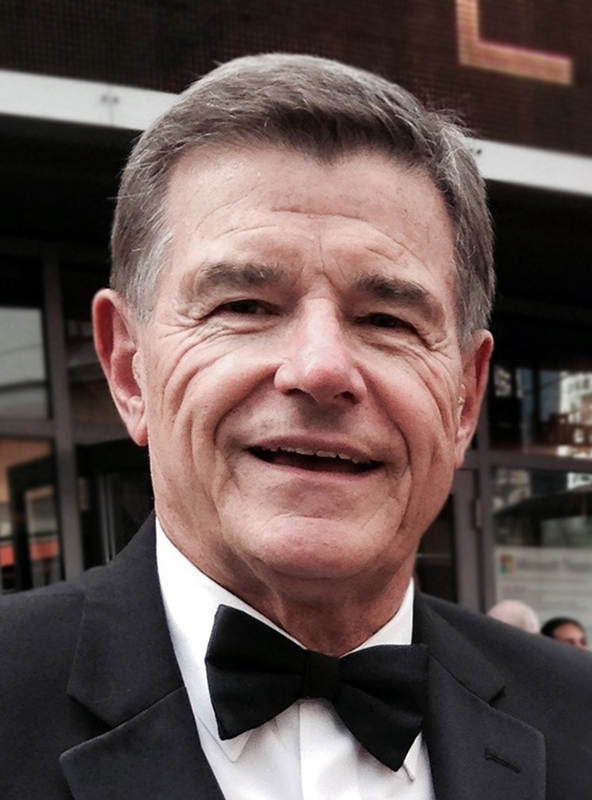 Bill has served as chair of the Foundation Board, and he currently serves on the Center’s governing board. As president and executive director of the Community Hiking Club for 16 years, Dianne has worked tirelessly to keep Santa Clarita beautiful. She has spearheaded trash clean ups, graffiti removals, Santa Clara River Clean Ups, non-native plant removals, and non-native fish removals. She has worked to keep the wildlife corridor open and clean, has documented all the native flowers in and around Santa Clarita, and has GPS’d endangered species in Santa Clarita. She mapped and wrote an environmental report on Magic Mountain (the mountain, not the theme park) and Pleasant View Ridge which resulted in them becoming wilderness areas. She also worked on Piru Creek which became a Wild and Scenic River as a result of her work. Dianne is currently working on additional local wilderness and a national designation for Rowher Flats for the OHV community. She worked to have the San Gabriel Mountains become a National Monument, and was thanked personally for her work by President Obama when he signed the proclamation. She is now working on a monument expansion, and an Urban National Recreation Area along the river which would provide a National Park presence, as well as education and opportunities for nature exploration to visitors. She is the coalition co-chair for the Rim of the Valley legislation, and is the representative for the western and northern Angeles National Forest Monument Plan. She is the recreation representative for hikers within the Angeles National Forest Monument, and is on the transportation committee and the On-the-ground projects within the National Forest and the Monument. Dianne works with the local condors, helping to keep them save. She has removed more than 5,000 pounds of glass shards, which kill condors and their chicks, from the Angeles National Forest. Other venues have included Placerita Nature Center, The Santa Clarita Libraries, Mayor Garcetti’s Equestrian Council, and many local service organizations. She has been interviewed by KHTS, the Signal Newspaper, the Daily News, the L.A. Times and Newsweek Magazine. She also writes a weekly column for SCVTV on nature. 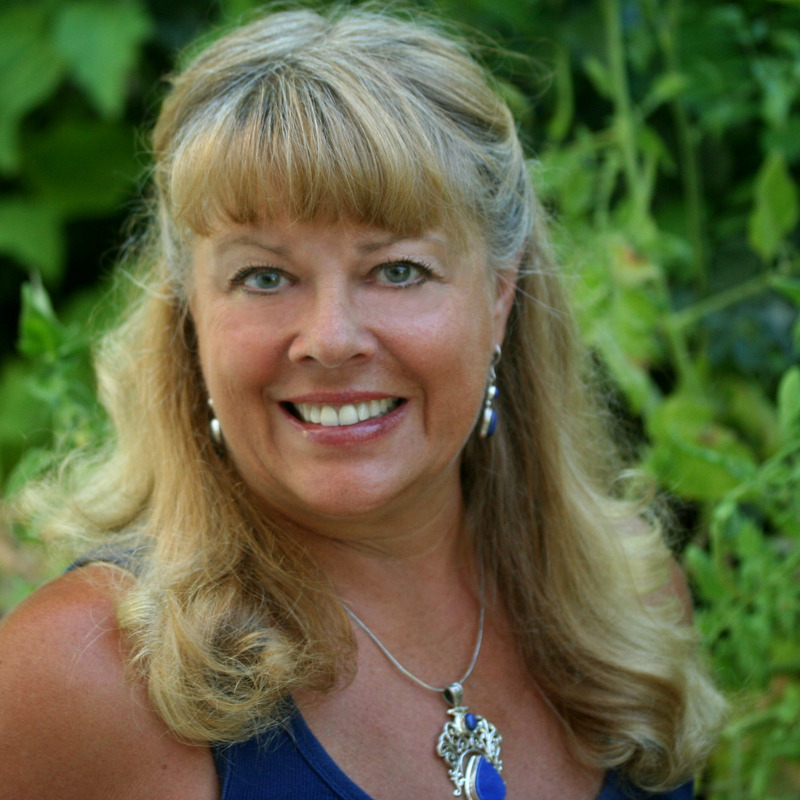 Dianne’s hobbies are camping, hiking, making jewelry, rock collecting, and cooking. She also loves to study languages and use them when she travels. Linda and her husband, Moe Hafizi, have been married for 39 years. For the past 26 years Moe and Linda have run a publishing business in the Santa Clarita Valley. This business has enabled them to promote business and charities in the Santa Clarita Valley through two successful magazines. Linda and Moe are personally involved with local nonprofits. Over the years, between them, they have volunteered hundreds of hours by sitting on many foundation boards being involved with nonprofit events. They have also created their own events that have raised close to $2 million dollars for local charities. The Santa Clarita Valley is their life and they have worked, played, and volunteered here for the past 30 years helping to make the SCV a great place to live. Linda Hafizi has been a sponsor and supporter of SCV Senior Center fundraising events for many years. She hosted events in her home to raise funds for the SCV Senior Center patio addition to the Adult Day Program and to support other programs and services at the SCV Senior Center. In addition, Linda contributed her time and expertise in marketing and public relations as a member of the SCVSC Foundation board of directors. She, her husband, and her son are sponsors of every fundraising event hosted by the SCV Senior Center. Linda used her time and talent to design the masthead of the SCV Senior Center newsletter, The Mighty Oak, and she and her family provide expertise, staff time, and printing for the publication. 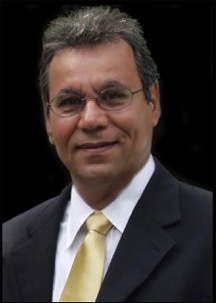 Moe Hafizi has been a sponsor and supporter of SCV Senior Center fundraising events for many years. He hosted events in his home to raise funds for the SCV Senior Center patio addition to the Adult Day Program and to support other programs and services at the SCV Senior Center. Moe, his wife, Linda and his son, Alex, are sponsors of every fundraising event hosted by the SCV Senior Center. In addition, Moe and his family provide expertise, staff time, and printing for the SCV Senior Center newsletter, The Mighty Oak. In addition, the Hafizi family supports organizations such as Soroptimist International of the Greater SCV, the American Cancer Society, and the Betty Ferguson Foundation. 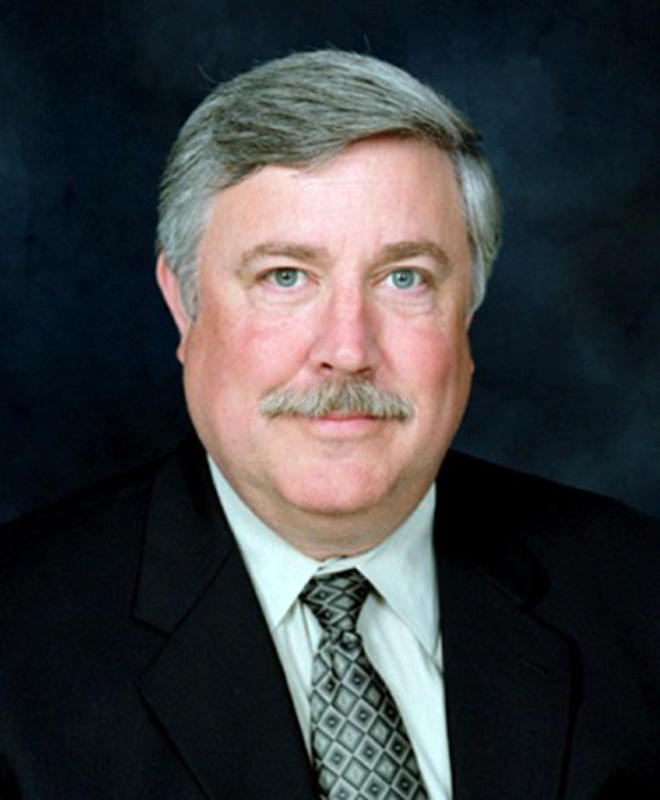 Tom Hough is a Certified Public Accountant, specializing in providing tax and accounting services for nonprofits, small businesses and their owners in the Santa Clarita Valley and all across Southern California. Tom is one of the most integral members of the Youth Project family. He has been instrumental in growing the Youth Project from a small, one-school, two-person staff into one with eight counselors providing thousands of hours of free service on 13 campuses to hundreds of teens in need of support. Not only does Tom donate his CPA expertise, he also supports the organization financially and through hours of volunteering at special events. Tom is a stalwart and dedicated Scout and Scouter. He has been instrumental in bringing financial oversight and viability to the Bill Hart District’s most important fundraiser: the annual Leaders of Character dinner. This event has not only provided major funding to our local scouts but has served as an example on a Scout Council level of fundraising and community awareness opportunity for other regional scout districts. Tom’s kind and careful approach to community leadership serves as a prime role model for young people rising in our community and in their careers. Tom and his wife of 40 years, Kris, have lived in the Santa Clarita Valley for over 32 years. They have two daughters, Amy and Lindsay. Pam and her husband Steve were married in 1972 and first moved to Santa Clarita Valley in 1974. They have one son, Christopher, born in 1976, and married to Elise. They have four grandkids, which are the pride of their lives. Pam started volunteering back in the early ’80s when Chris attended Chaminade College Preparatory. She was on the school’s fund raising committee for five years, served as PTA president, and chaired the Fashion Show/Silent Auction the year of the 1994 earthquake. 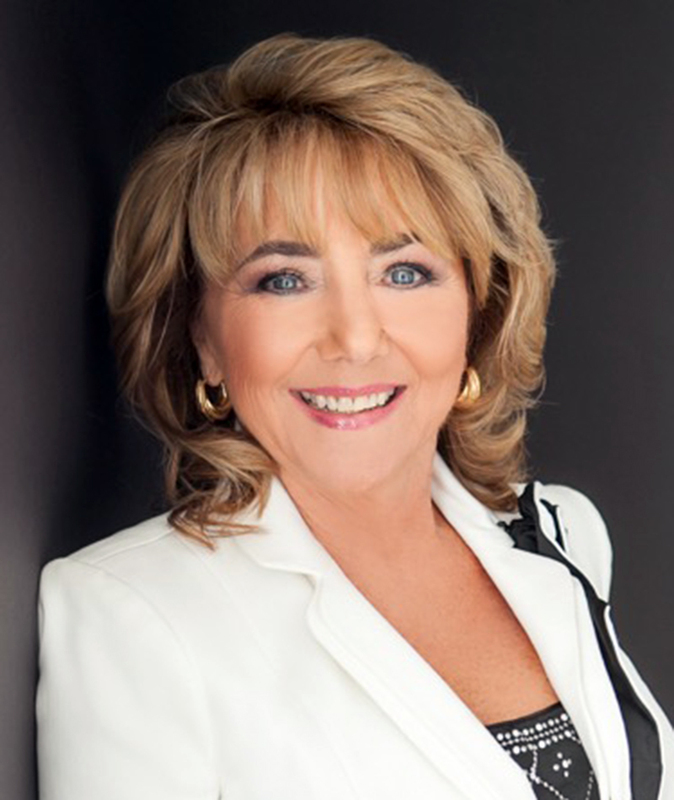 Pam Ingram is one of the top realtors working at RE/MAX of Santa Clarita and is a member of the RE/MAX Hall of Fame and the Lifetime Achievement Award. 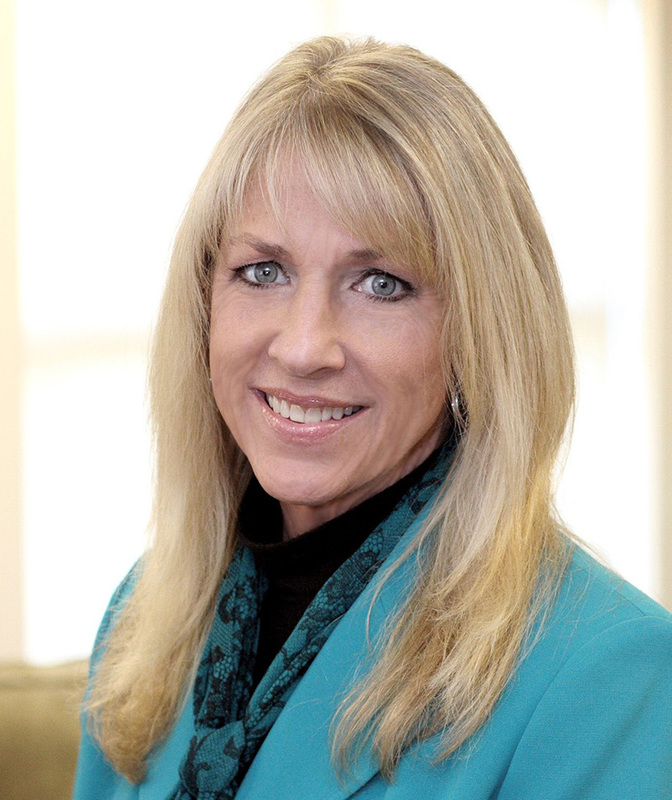 Pam embarked on a career in real estate in 1994 and, in 1995, she returned to the Santa Clarita Valley. 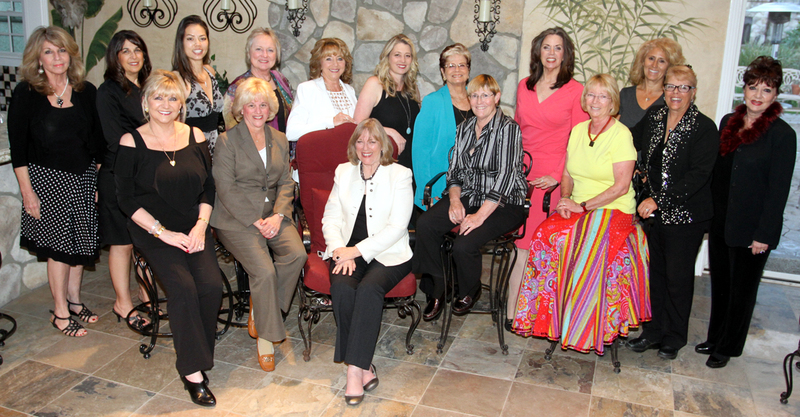 Pam’s passion and commitment to Soroptimist International of Greater Santa Clarita Valley was the catalyst for one of the organization’s best presidential years. She was awarded top honors at the yearly convention including the Governor’s Award. Following that, Pam chaired The Wine Affair which was the largest fundraiser to date netting over $52,000. She continues to support all committees with her volunteerism. Pam contributed monthly towards the Laurel Society program which gives back monetarily to its annual program awardees. Pam is seen at most charitable events in the community and tries to participate whenever possible. She has participated in local charities and civic associations and organizations such as Walk to End Alzheimer’s, Light the Night, Leukemia & Lymphoma Society, American Cancer Society Relay for Life, Boys & Girls Club of Santa Clarita Valley, Carousel Ranch, Helmers Elementary School Parents Association, Old Orchard PTSA, the Special Olympics, and the SCV Senior Center. For many years the moving van owned by Pam for her clients’ use, was loaned to non profits such as American Cancer Society, Relay for Life, Betty Ferguson Foundation, Boys & Girls Club of Santa Clarita Valley, Carousel Ranch, Helmers Elementary School Parents Association, Old Orchard PTSA, the Special Olympics, and the SCV Senior Center. Taylor was born and raised in the Santa Clarita Valley where he attended West Ranch High School. He graduated in 2008. He began racing motorcycles at a young age and went professional when he turned 17. While racing and attending West Ranch, Taylor and a friend started a clothing company called Heroic Threads. A few years later, while attending College of the Canyons, Taylor created the SCV Book Exchange – an off-campus textbook store dedicated to saving college students money on books. After three years of business, Taylor created and hosted his first charity event for Children’s Hospital of Los Angeles. In 2013, following the tragic Boston marathon bombings, Taylor raised money by selling T-shirts saying “Boston Strong.” All the proceeds went to One Fund Boston for the victims of the Boston bombings. Following that he became a board member for the Circle of Hope. 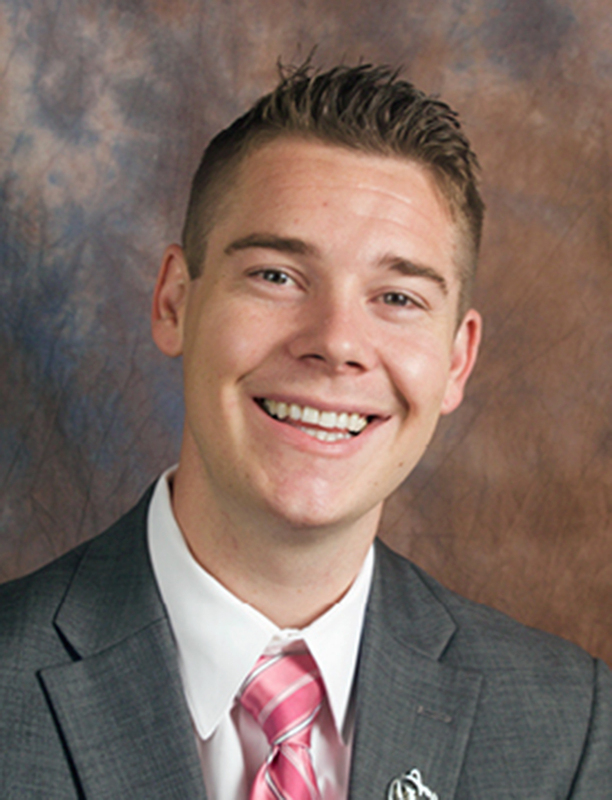 As the year progressed, he was nominated for the JCI’s 40 under 40 recognition and became a member of the Jaycees. He won the Young Business Person Award from the Chamber of Commerce for Santa Clarita in 2014, along with completing the Chamber’s Leadership Academy. Taylor also has a passion for public speaking. He’s made several appearances to the local high schools and presented at the Cal Central HOBY seminar this year at Cal Lutheran University about the importance of goal setting. Taylor continued his work with the Children’s Hospital in 2013 by continuing with his Bowling for Kids charity event, which has become an annual event. Mild-mannered Dennis Koontz has a can-do attitude and is a hard worker behind the scenes. Dennis retired from the Los Angeles City Fire Department as a Fire Captain. He was active in the City of Santa Clarita Formation Committee and was elected to the first City Council in 1987. Dennis took his experience as a firefighter to Valencia High School and worked as the Health Assistant for more than 15 years. He retired several years ago but still covers dances as well as sporting events. With his wife Linda, whom he married in 1990, Dennis helps out with the SCV Boys & Girls Club, the SCV Senior Center, Domestic Violence Center, Zonta, and the Fourth of July Parade. He also plays Santa Claus for local charities. Born and raised in Hollywood, Jonathan served as a US Army Officer specializing in combat operations after earning his bachelor’s from UCLA. Returning to civilian life he earned a Pepperdine MBA, then engaged in criminal justice analysis. He eventually became a college professor and dean. He moved to Santa Clarita in 1998 and founded a private investigations firm specializing in employment screening, criminal defense, and domestic violence cases. For more than 10 years he has served on the Santa Clarita Human Relations Forum with the SCV Interfaith Council, of which he is now president, and has written political columns for The Signal newspaper. He also founded a local Latin dance chapter with over 200 participants. Jonathan is the first male Domestic Violence Advocate certified through the Santa Clarita Domestic Violence Center and, as a volunteer, conducts weekly meditation classes for domestic violence victims that helps victims overcome post-traumatic stress, disconnect from abuse, and find the calmness and courage to start new lives. Jessica’s dedication to earn her EMT certification and Reserve Deputy status has made her a valuable resource on the 15-person SCV Search and Rescue team. As a member, she responds to calls involving vehicles over the side, lost hikers, and missing people of all ages, 24 hours a day, seven days a week. By joining the team, Jessica doubled the number of females on the team, and has made considerable effort to increase awareness of the team, as evidenced by numerous TV and news cameos. In particular, Jessica was featured in a news article titled “Everyday Heroes: Jessica Lee” and accompanying video titled “In the Warehouse: How to Save a Life,” for which she was highly commended by the Mayor of Los Angeles County. The article and video emphasized her dual contributions and work-life balance as both an engineer and Search & Rescue team member. Jessica leverages her education (she has a PhD in Biomedical Engineering) and experience working at Boston Scientific to encourage girls to pursue careers in Science, Technology, Engineering, and Math (STEM). She not only founded the tutoring partnership between Boston Scientific and the Val Verde YAL center, but she also tutors there every week. She also speaks at local schools to share her journey. She serves in leadership positions in male-dominated fields (e.g., Engineering, Search and Rescue) to send the message that females belong in these roles. Jim was born in Chicago. When he was 8, his family moved to the San Fernando Valley where he was raised and educated. After two years at Valley College, he volunteered for the Army in 1960. He served in the Army Military Police with a tour of duty in Korea, serving in Panmunjom, site of the peace talks with U.N. troops and North Korea. After completion of active duty, Jim returned to Valley College and later entered the insurance industry. In 1964, he married and started his family: two sons, Nick and Jeff. Jim and his family moved in 1966 to the Santa Clarita Valley where he established his business. Wanting to immerse himself in his new community, he joined the Jaycees and became actively involved in all their local projects. 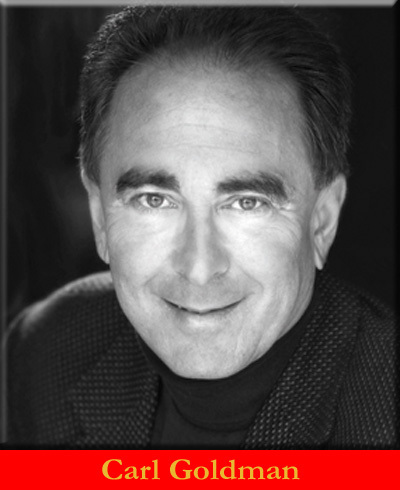 In 1986, Jim became a charter member of the new SCV Sunrise Rotary Club, serving as president in 1988-1989. 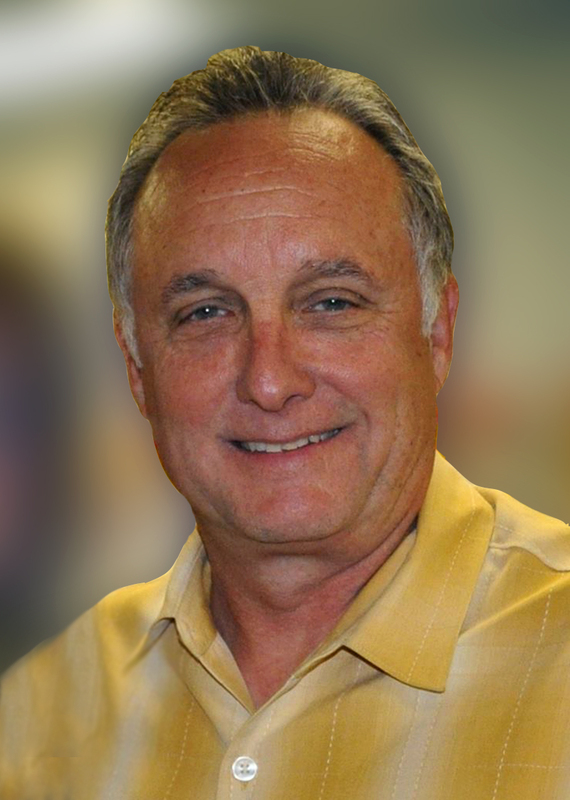 In 1999, he transferred to the Santa Clarita Valley Rotary (noon) Club and was the Centennial president in 2004-2005. 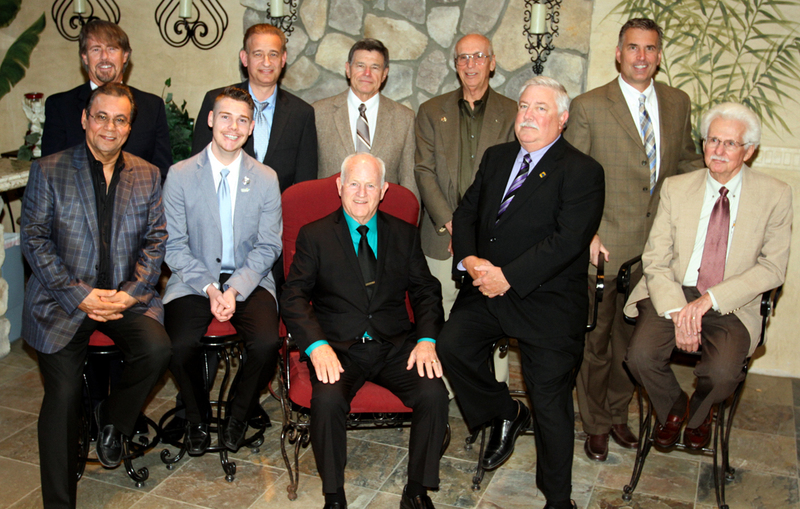 Jim has been on the SCV Rotary board every year since he joined. He was club president in the Centennial Year of Rotary International, and as a tribute to Rotary and to the community, he spearheaded the financing and building of a garden at the Santa Clarita Sports Complex. Upon its completion, the club gifted it to the City of Santa Clarita. The garden is not only a place of relaxation for the community but also serves as a memorial to the young SCV military members who died in service to our country during the Middle Eastern conflicts. In 2015, it became a memorial for SCV veterans of the Vietnam and Korean conflicts. 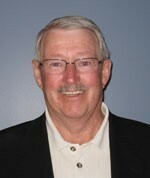 Jim formed the SCV Rotary Veterans Committee, dedicated to helping returning service men and women resume their lives. Among other things, this includes help with education, life skills, mental health and physical needs such as fitting homes with special accommodations for disabled veterans. He works with Harry Bell’s daughter, Janet Austin, in directing and leading the Harry Bell Memorial Veterans Fund for the needs and services of SCV veterans and families. He has also been actively involved in the Habitat for Heroes building site on Center Pointe Parkway as well as the development’s memorial to World War II veteran Harry Bell. Mitzi has been a strong advocate for the hospital’s continued growth. Since joining the Foundation, she has accepted many roles. Her donation of financial resources is as generous as her investment of time, leadership skills, and a sincere interest in community health care. Mitzi and the Like family established, and continue to fund, a scholarship at COC to encourage students seeking a career in the insurance industry. 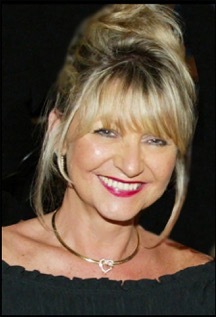 Besides her personal sponsorship of charities, Mitzi encourages her staff at LBW Insurance and Financial Services to get involved in the community. Mitzi has been a resident of the Santa Clarita Valley since 1980 and moved her family-owned, independent insurance agency here in 2004. Her involvement in the community began in the 1980s when she began volunteering her time and leadership to Congregation Beth Shalom. Mitzi and husband Randy enjoy traveling and spending time at their retreat in La Quinta. The Valencia resident is a fan of the Los Angeles Kings, plays golf, and hugging her granddaughter, Joey. Ever since elementary school, Bill has been an engineer at heart, following in the footsteps of his father, an electrical engineer. Having caught the engineering bug from dad, he devoted his working life to inventing things, or conjuring, as he likes to call it. His educational degrees include Long Beach City College (AA), the University of California, Berkeley (BSME) and Pepperdine University (MBA). Bill began volunteering at Boys & Girls Club of Santa Clarita Valley with the annual auction, co-chairing the registration committee in 1997 until 2005. He accompanied the Zontians to the club to mentor young girls in the new robotics program in 2008 and then continued to tutor the kids after school. In 2014, he revitalized the educational programs when he created the Science Hour, a weekly adventure that features projects such as making balloon-powered cars and dropping protected eggs from a ladder. Through his guidance, the club has been able to expand its STEM programs and seek out additional funding opportunities. In his free time, Bill is a published author incorporating science and engineering into his characters and stories. Together with his wife Darleen, he has instilled a sense of wonder in the sciences among the youth in Santa Clarita. Bill and Darleen were both named Boys & Girls Club Volunteers of the Year in 2015 to recognize their dedication. Their love and devotion to the community and especially to the Santa Clarita youth, have led them to establish significant endowments at the Boys & Girls Club for science programs, at College of the Canyons for the MESA program, and at the Zonta Club for a nursing scholarship program. While participating in a variety of positions at the Boys & Girls Club, Darleen has been most valuable lending her talents and skills to the bid board and registration committees at the club’s annual Auction. She also supports the robotics program that was developed in partnership with the Zonta Club. When Darleen moved to Valencia in 1976, she became interested with the Boys & Girls Club benefit auction. She soon became involved in making bid boards and eventually chairing the bid board and registration committees for the next 11 years. Much of her free time would also be spent in the club offices, assisting the executive director. She hosted students from India in a Cultural Bridges International Student Exchange program that the club started in 2003. Volunteerism led to membership in the Zonta Club and many other organizations. Her service to the community is often done alongside husband Bill. Both Bill and Darleen were named Boys & Girls Club volunteers of the year in 2015. The couple has established endowments not only to club programs, but to College of the Canyons and Zonta as well. Cathy has spent countless hours – years – helping with the maintenance and daily functioning of Heritage Junction, and fundraising for the Historical Society. Her coordination of filming activities created 75 per cent of the income for the Society in 2015. She represented the SCVHS during all the filming, approving contracts, moving artifacts, and meeting with fire Marshall and County Staff. She also was the leader and coordinator of the Historical Society’s participation in the first Cowboy Festival to take place at William S. Hart Park in 2015. Cathy met with City staff, created an action plan, coordinated the entertainment stage, vendors, volunteers, City staff, and Sheriff area assignments. Cathy found a grant writer and successfully wrote a grant for a structural engineer/architect for the Pardee House, the first step in getting a new museum started at Heritage Junction. She also revamped the Heritage Junction rental agreements, acquisition forms, and started the volunteer/docent rewards program. 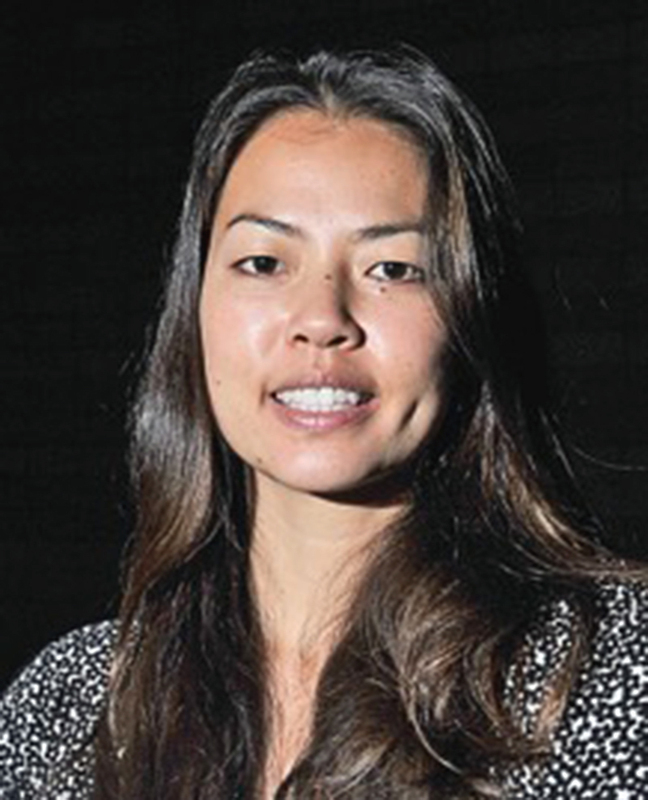 Born and raised in San Francisquito Canyon, Cathy attended local schools and graduated from Hart High. Her community involvement started at age 12 riding her horse in the Newhall July 4th parade, which led to decorating cars for dignitaries. In 2012, she was the SCVHS division representative with Duane Harte. 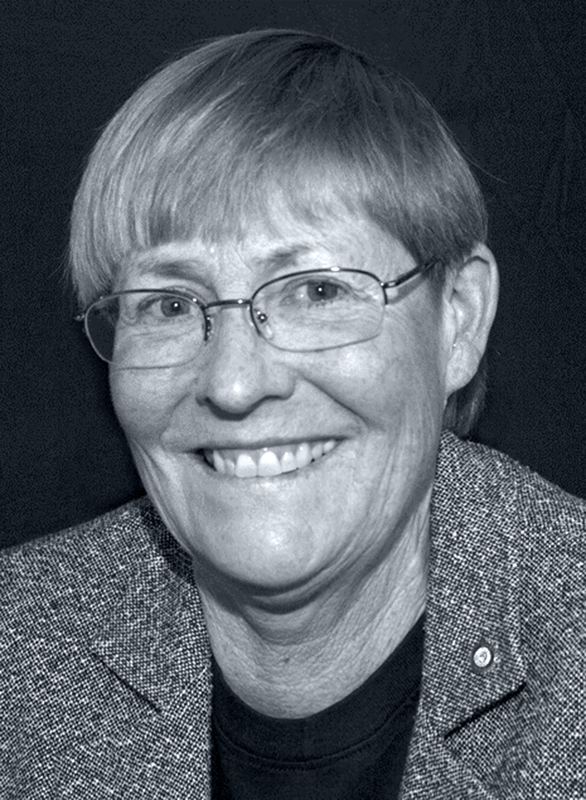 In 1991, Cathy enrolled her children in Prairie Dogs 4-H club and volunteered as poultry leader. She led the club as the Community Leader for seven years, and quickly got the club involved in community service projects at Placerita Nature Center, SCVHS, city of Santa Clarita, Boys & Girls Club, Wm. S. Hart Park, and the Rotary pancake breakfast. In 1996, she joined the Historical Society board of directors. Her first task was revamping the Museum Gift Shop. Cathy took the sales from $200 a year to $2,000 a year. Sales are currently $4,000. She led volunteer groups in re-mudding the Mitchell Adobe house, painting the Edison House and Saugus Depot freight room. She was a school tour volunteer, St. Francis dam tour guide and helper, Old Towne Days committee member, and chair of the Christmas Open House and Animal Blessing for 15 years. This past year, Cathy coordinated Newhall business participation in the Christmas Open House. Currently, Cathy is chair and creator of The Wine Heist, the Historical Society’s inaugural wine tasting event. She is currently developing and planning to make this into an annual wine tasting event, with a dash of local wine history. 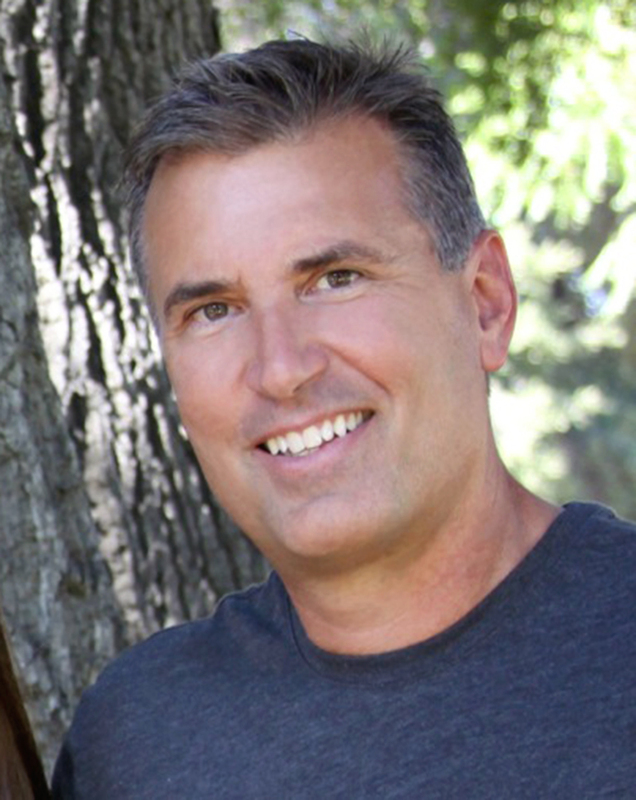 Ed Masterson has lived in the Santa Clarita Valley since1988, with his wife, Valerie, son, Gage, and daughter, Lizzy. Ed moved to our valley while working as a tour guide for Universal Studios. He eventually moved on to production coordinator for network television shows. While most people would know Ed from his many turns as a master of ceremonies for a number of SCV events, his daytime jobs have included key account manager for Golden West K-9 Security, director of public relations for Loose Goose Wine Festival, and field representative for Assemblyman Cameron Smyth. 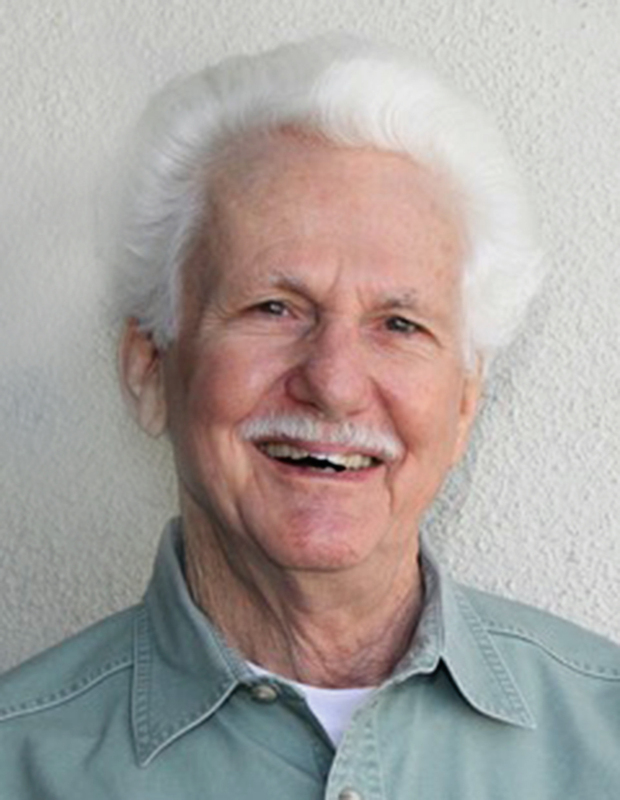 Ed was a founding Board member of WiSH and continues to be a significant, contributing member. Ed’s broad knowledge of the community, which comes from his volunteering experience, lends itself to an understanding of what organizations need to do to best support the students of the Santa Clarita Valley. 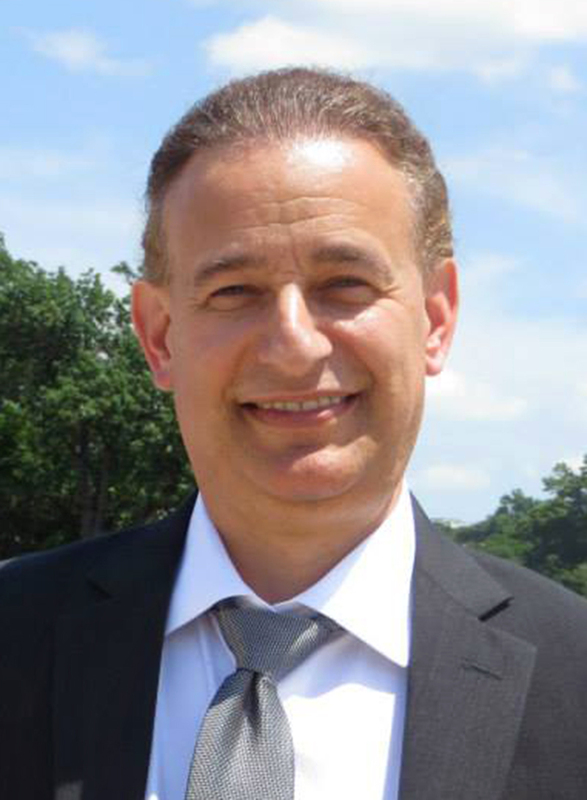 Ed has served as liaison for the Holocaust Memorial Project, connecting survivors with local high school students for interview sessions that were submitted to the state archives. 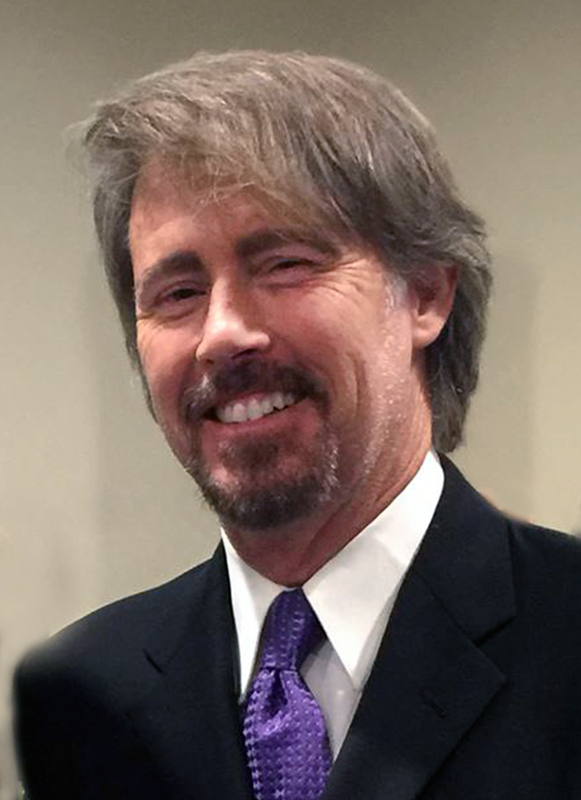 When Cameron Smyth ended his stint in the Assembly, Ed became CEO of the Santa Clarita Valley Chamber of Commerce, and has lobbied on behalf of the SCV in Washington, D.C. As chairman of the board for the Chamber, Ed was successful in leading a community delegation to Washington D.C., which helped to acquire government funding in excess of $3 million in 2005. He currently works in Sales & Marketing for SOS Entertainment. In addition to working countless volunteer hours in a variety of roles at the Child & Family Center, Laina has donated product from her business to ensure success for other nonprofit organizations. Her expertise and guidance has contributed to the success of the annual Taste of the Town fundraiser. Laina has a degree in communications from UCLA. She met her husband, Rob, while working at the Cheesecake Factory in Marina Del Rey. The couple married and moved to the SCV in 1992, where they live with their two daughters, Mandee, now 21 and a senior at UCSB, and Gillian, 16, a junior at Valencia High School. What began as a Christmas gift to her husband, a home brew, beer making machine, has led to the couple’s local business, Wolf Creek Brewing Company The company opened the restaurant in1997, and recently added a brewery to create their beer. Laina has combined her entrepreneurial spirit for business and her belief and efforts in volunteerism to make Santa Clarita a better place to live and work. Randy and his family have lived in Santa Clarita for more than 20 years. He was recognized by The Signal as one of the top 51 most influential persons in Santa Clarita in 2009 and 2010. As co-chair of the College of the Canyons Scholarship Committee, Randy led the Foundation to reach a milestone by capping off a $1 million Osher Scholarship Endowment Campaign. Donors participated in a special grant opportunity that offered a 50-percent matching grant for every endowed scholarship contribution. This matching grant program was made possible by a generous grant from the Bernard Osher Foundation. The COC Foundation actually exceeded the goal by 52 percent, placing them among the top five of all the other 112 community colleges in California. Under Randy’s leadership, that effort brought an additional half million dollars in matching funds, which will enable the college to award an additional 95 student scholarship each year in perpetuity. Randy has co-chaired the Foundation Silver Spur Committee for the last three years generating significant resources for the Foundation. 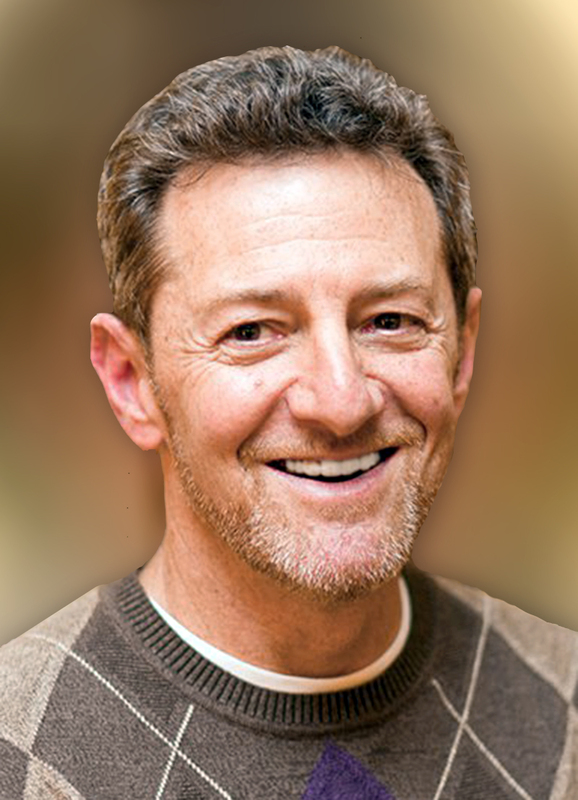 Additionally, Randy has been in leadership positions and an integral part of several important projects for the Congregation Beth Shalom for several years. Most notably, he has been in charge of getting the new building constructed. Ground breaking took place in 2013. Throughout the years that her husband, Mike Murphy, has been a member of the Rotary Club of the Santa Clarita Valley (43 years), during her founding years and presidency of the Frazier Park Rotary Club, and , now as a member of the Santa Clarita club, Lori has personified Rotary’s Motto of Service above Self. Through the couple’s company, Pacific Printing, Lori has provided the Club with an award-winning weekly newsletter that chronicles the club events with pictorial essays and biographies of the speakers. While Community Service chair, Lori organized, coordinated, and brought to fruition the makeover of the SCV homeless shelter through Bridge to Home. Bridge to Home provides shelter during cold and rainy months. Rotarians added a freshly painted environment with new floors, rain gutters, and restored maintenance items. When longtime Rotarian Gary Wurst unexpectedly died in August 2015, Lori took over the duties of Club Historian, fulfilling the need to document, in a photojournalistic manner, the Club’s events and accomplishments. This job, however, did not come to an amateur photographer, as Lori has had formal training in photography and has spent countless hours in the Sierra Mountains with her camera and film. Lori was also one of the founding members of what would become the Santa Clarita Film Commission, spearheading the acknowledgment of the Santa Clarita Valley as a prime film, television and commercial production location. Lori’s efforts have grown exponentially and allowed thousands of SCV residents to benefit from her efforts. for the Historical Society, Placerita Canyon Nature Center, Rancho Camulos, Santa Clarita Public Libraries, Westerners Los Angeles Corral, Valley Relics Museum, Cal State Northridge Archeology Department, and Society for California Archaeology. He has been interviewed by and promoted the Historical Society and the valley’s history on SCVTV, KHTS radio, and Santa Clarita Signal newspaper. He has also appeared on national television on the Travel Channel discussing the St. Francis Dam disaster. As President of the Historical Society, he has advocated before the City Council for a Historical Preservation Ordinance which was successfully passed in 2013. He also worked with his neighbors to halt a proposed mega-development on the old Smiser Ranch. 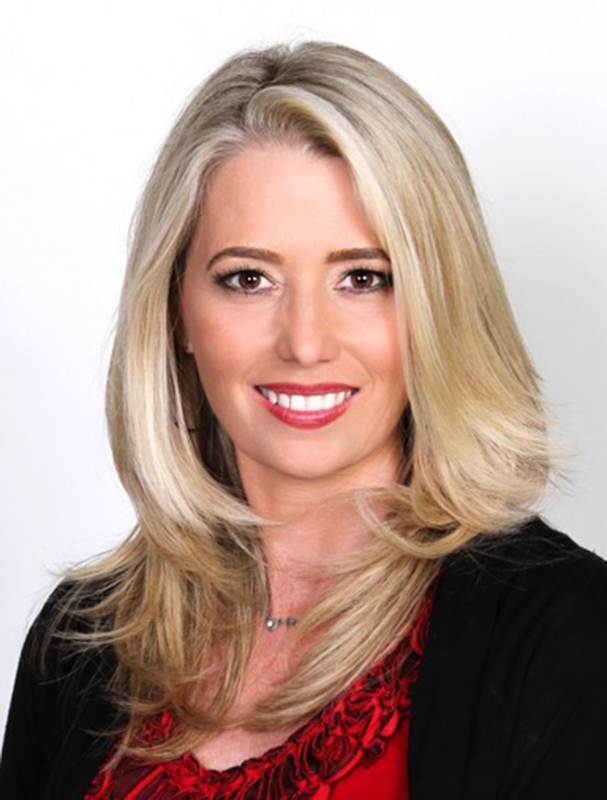 Dr. Pollack was born in New York City, but grew up in the San Fernando Valley. He developed an interest in history as a young boy in the 1960s when he began collecting newspapers of important historical events that were occurring during that turbulent period. His collection has morphed into a world-class assortment of original newspapers dating back to the 1600s and covering most of the significant events in American history as they were originally reported. He also has an extensive collection of historical documents and photographs related to the history of Newhall and Saugus which will eventually be donated to the Historical Society for future preservation. Dr. Pollack received a B.S. degree in biochemistry from UCLA, and was made a member of Phi Beta Kappa honor society. He subsequently attended medical school at the University of Texas Southwestern Medical School in Dallas where he gained admission to the Alpha Omega Alpha medical honor society. After obtaining his medical degree, Dr. Pollack moved back to Los Angeles and did a residency in Internal Medicine at Cedars-Sinai Medical Center. 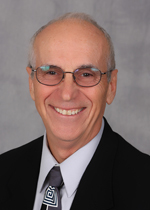 He has been an internal medicine physician at Kaiser Permanente in Panorama City for nearly 30 years, where he is the primary care physician for approximately 2,000 patients from both the San Fernando and Santa Clarita Valleys. During this stint he has been honored with Kaiser’s Leon Cohen Award for exceptional contributions to his colleagues and care of his patients. He has lived in Newhall since 1991. Susan has worked for large and small companies. She graduated from high school at a younger age than most, attended the local community college, and worked at the Illinois Department of Corrections doing illustration for prisoner-teaching materials. After studying communications and graphics at Indiana University, she moved into corporate marketing communications. She has been an executive speechwriter, corporate trainer, executive image coach, and communications consultant. She has now managed the messages of executives as they’ve grown companies, closed plants, broken ground, and rallied the troops, while becoming a highly developed corporate trainer herself. She writes on the subjects of organizational and career development as well as corporate politics. 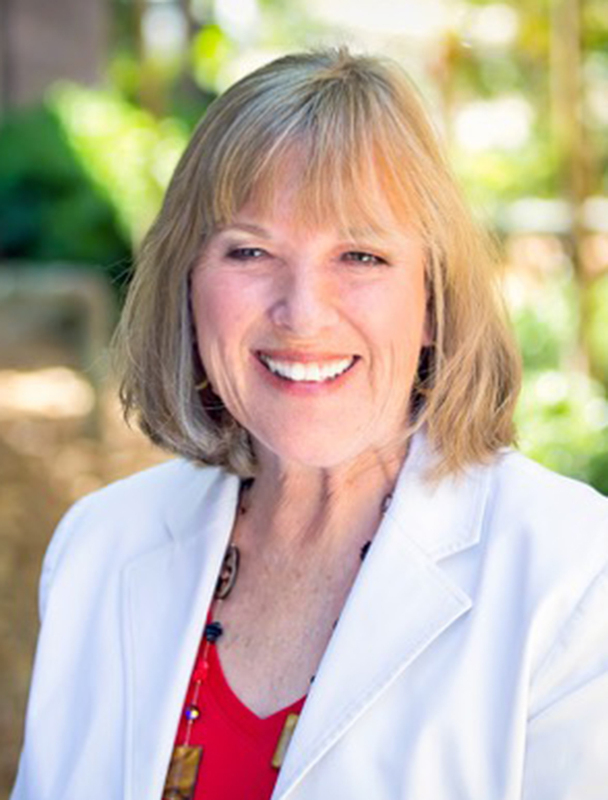 Sue has been a part of the Santa Clarita Valley business and nonprofit communities for over a decade with NewMarket Careers, and currently brings her career development skills to the Hart School District to assist SCV youth in productively enter the workforce. She has mentored and conducted presentations for area high school students, having participated in developing career curriculum for VIA Connect 2 Success that began with the SCV School & Business Alliance and Junior Achievement, as well as COC/Workforce. As a mother of an Eagle Scout, Sue is invested in the concept and values of Scouting – for boys and girls. Graduating from den mother and cub master to champion of fundraising, Sue also participates in social media efforts for the Scout District. When she was Soroptimist president, Sue strongly advocated for the support of the Domestic Violence Center of Santa Clarita. She not only engages in awareness programs that enlighten and teach empowering strategies to vulnerable teen girls, but is one of the planners and speakers at the upcoming Dream It, Be It Conference for girls. In her spare time, Sue rides her palomino mare, having enjoyed horseback riding all the way back to childhood days in the cornfields of Illinois. Now a widow, her family includes son, Ransom, and grandson, Alexander, as well as well-loved dogs and cats, including Doberman Nüdel who is certified as a therapy dog and as a Cal-EMA Search and Rescue dog. 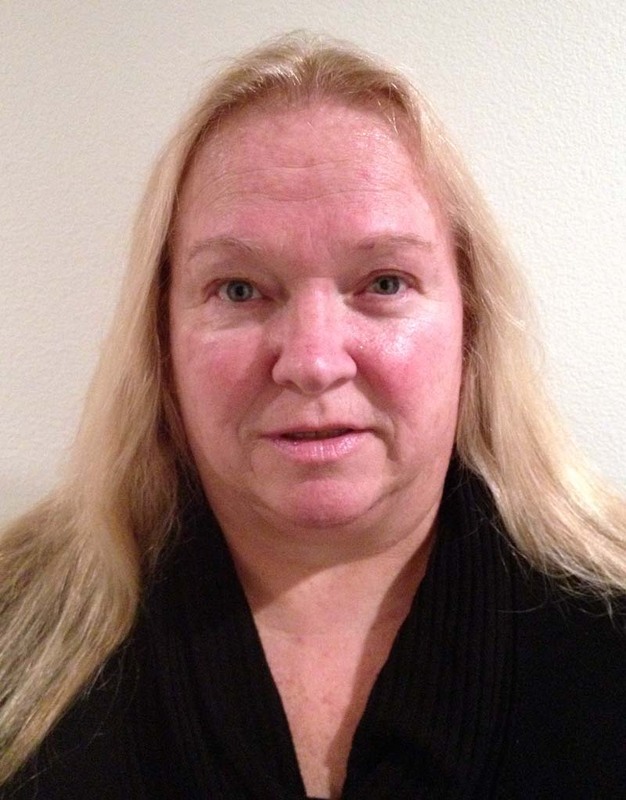 Susan is a certified first responder Wilderness First Aid / American Red Cross Emergency Medical Responder. Since young adulthood, Deborah has devoted her life to children. 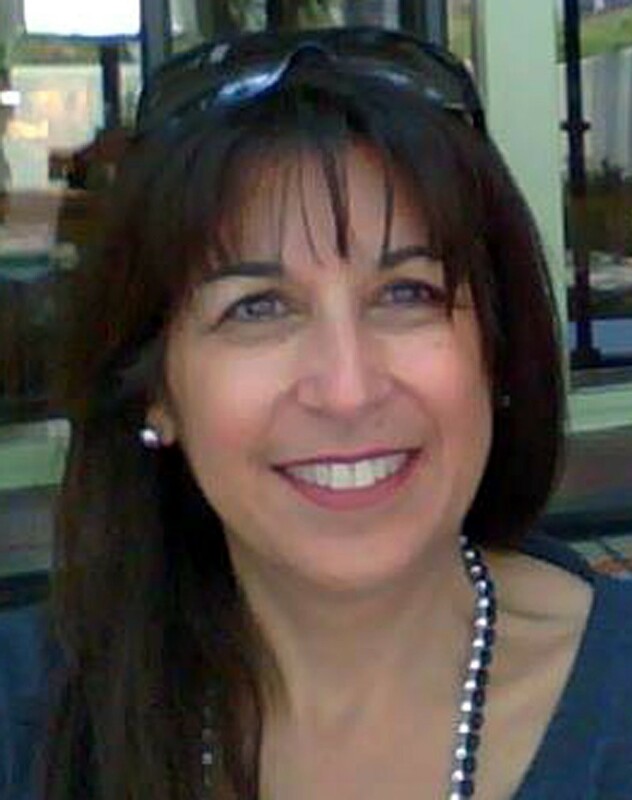 She has been a dedicated educator for nearly 30 years, working to inspire and empower kids. A single mother who raised four children on her own, Deborah has been, and continues to be, a mentor to countless community members, students, and volunteers After losing her 15-year-old daughter, Samantha, to suicide in 2011, Deborah vowed to turn her tragedy into a commitment to support and protect young people during the often turbulent adolescent and teen years. She founded SRD~Straightening Reins as her gift to kids like her daughter and their struggling families. Through equine-assisted psychotherapy and related programs, local youth are given a space to discover, heal, and grow. Being an infant 501(c)(3) nonprofit, SRD~Straightening Reins is almost exclusively funded by Deborah’s own personal contributions. She offers at-risk youth the tools to cope with the many challenges they face. Diana leads by example in the American Cancer Society, serving on committees, being a team captain for Relay for Life, and forming teams. She also serves as a media informational resource. She has been writing about American Cancer Society Programs and Services and appearing on KHTS Radio to promote fundraisers and events for over 15 years. Diana grew up in the San Fernando Valley and migrated with her family to Stevenson Ranch in 1991. This mother, grandmother, longtime registered nurse, and community journalist has spent many years volunteering her time, resources, and passion for writing to numerous local charities. First introduced to the ACS through her health and wellness articles for The Signal newspaper in 1998, Diana eventually became a devoted volunteer and close member of the ACS family of friends. Cancer has had a huge impact on Diana’s life, altering her world in many ways. Diana’s maternal grandfather died from pancreatic cancer when she was 6. Her mother succumbed to esophageal cancer when Diana was in her 30s. Alex, the father of her two sons, David and Andrew, courageously fought metastatic throat cancer, but lost that six-year battle in 2005. As a caregiver, Diana knows the importance of finding a cure and challenges others to join her and eradicate cancer by being a part of the cure. Not only does Nancy – along with husband Allen – volunteer at all the SCV Youth Project fundraising and program events, she also supports it financially (with checks and in-kind donations) and is a tireless fundraiser for the organization, helping to raise hundreds of thousands of dollars over the years. Nancy, a local real estate salesperson for over 26 years, has immersed herself in the community both professionally and personally. She is currently president-elect 2016 for Southland Regional Association of Realtors which comprises approximately 10,000 Realtors; and has served in many different capacities including past president for the SCV Division in 1998, 1999, 2009 and 2014S. 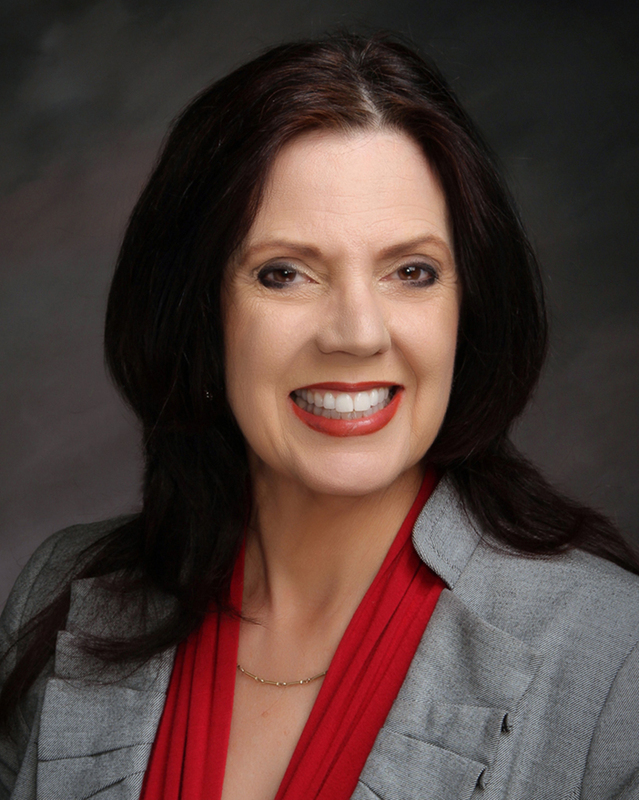 She also serves as a director of the Santa Clarita Valley Chamber of Commerce and as Government Affairs & Transportation Liaison on the Executive Committee. In 2000, Nancy joined the board of directors for The Youth Project believing that youth are the window to the future and helping them to find their way is vital. Beyond her commitment to the Youth Project, she has supported and been a fundraiser for organizations such as Child Spree, the Senior Center, College of the Canyons, Betty Ferguson Foundation, Habitat for Humanity, Child & Family Development, Michael Hoefflin Foundation, and the Boys & Girls Club. For seven years Nancy worked on the Henry Mayo Newhall Memorial Foundation for the Christmas Home Tour as a designer, a fundraiser, and a volunteer. She worked with the Home Town Jamboree as Silent Auction chair. Nancy’s talent for singing gave her the opportunity to sing at “Burnt Sulphur” for the Sulphur Springs Elementary School, and perform at the Santa Clarita Valley Footlight Follies. Since childhood, Nancy has used her ability to speak sign language to assist the deaf at the School for the Deaf at Riverside, CSUN, Birmingham High School, and Arminta Elementary School. Nancy is originally from Philadelphia, Pennsylvania. She and husband Allen have been married for 51 years. Her passion is gardening, birding and interior design. When time permits, Nancy and Allen love to travel. Linda has shaped the Parade Committee into a well-organized working committee. She began by keeping minutes of the meetings. She then took over from Connie Worden-Roberts as chair of the parade announcers and ultimately became parade chair. She has secured the All-SCV High School Band for the parade for the past three years, found sponsors, and helped obtained equipment needed for the parade to work seamlessly. Linda sets the agenda and informs the roughly 75 committee members of each meeting and sends them meeting updates to keep things on track. 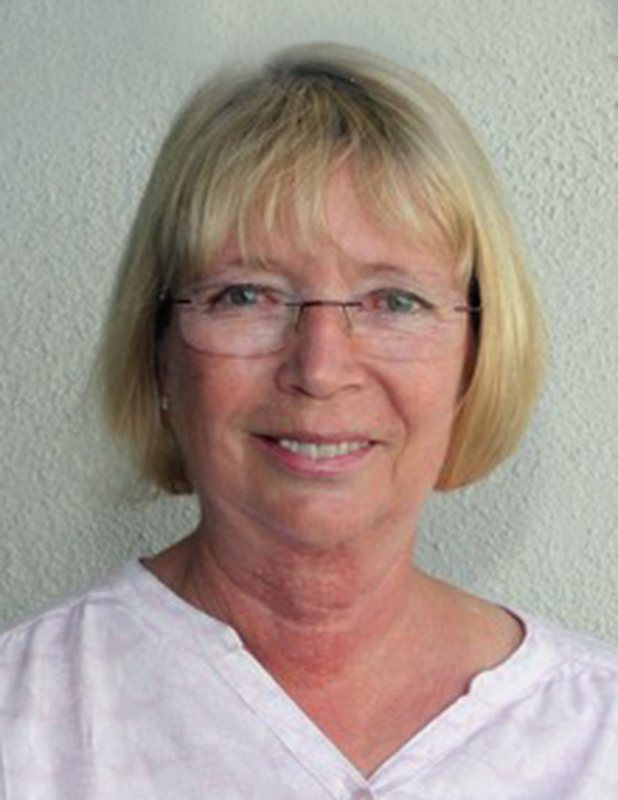 Linda has earned a bachelor of arts and master’s degree, as well as California Teaching Credential. She taught for more than 30 years at Canyon High School, including free Stop Smoking classes for students. 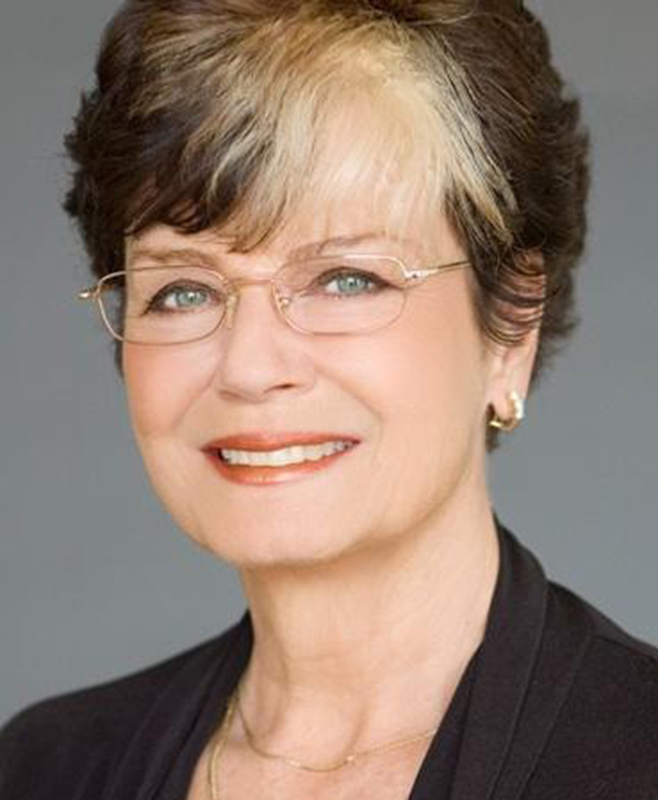 She served on a Presidential Commission and as a Parks and Recreation Commissioner for the city of Santa Clarita. During her 30-year teaching career, she accomplished the closing of campuses at lunch. She also helped the district obtain a dedicated sheriff’s deputy for each high school campus. 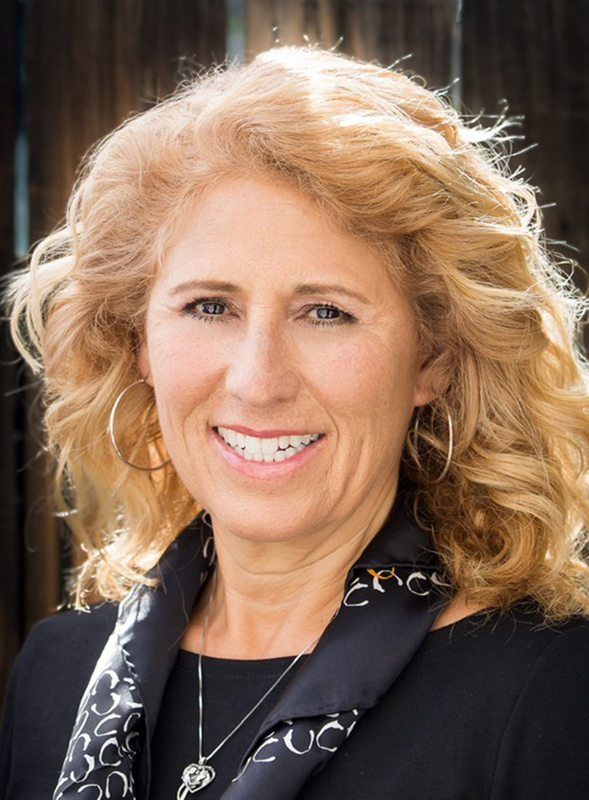 Linda participated in securing the city and the Hart School District’s shared-use agreement, and fostered Career Program Internships with the Canyon Country Chamber to create meaningful relationships with local business. Linda plays Mrs. Claus alongside Santa Claus, her husband of 25 years, Dennis Koontz, each Christmas on behalf of various charities. Eric Stroh has called the Santa Clarita Valley “home” since 1988 when his future wife extolled its virtues as the perfect place to raise a family. After earning his Bachelor’s Degree in mechanical engineering, Eric bought his first home, got hired as a sales engineer for Honeywell, and asked his college sweetheart to marry him. By 1996, they had two daughters and were living in Valencia. In 2003, Eric left corporate America and began working alongside his father-in-law at Santa Clarita Concrete. Being able to help grow the family business while having the freedom to be present and involved in all aspects of his daughters’ lives has been Eric’s greatest joy. Eric is never without his camera, as his girls’ biggest fan. It was his daughter Jolie’s obsession with horses that first brought Eric to Carousel Ranch. Together, they have given hours of love and support to the Ranch. From the time Eric joined the Carousel Ranch board, he has been an integral part of the organization. Shortly after joining, Eric stepped up and filled the role of interim president, when no one else could. He took his new position very seriously, working hard to tackle the incredible challenges and changes that the ranch would face in the years to follow. With Eric as leader, the ranch survived the toughest of times, but continued to thrive. This included buying property to complete renovations of a new home, obtaining conditional use permit (with countless County meetings and neighborhood battles) to the completion of its biggest project ever, the building of the covered arena. Eric is extremely proud of the Ranch’s annual “How the West Was Won” Trap Shoot. Not only is he one of the event’s creators, he spends countless hours securing donations, sponsors, and entertainment to ensure that this unique event is a fun-filled success. He has co-chaired the event for eight years and has tirelessly raised over $175,000 from this event alone. When Eric isn’t working, he can be found on the water either wakeboarding or paddle boarding with his family. Jeff moved to Los Angeles in 1978 and in 1982 settled in the Santa Clarita Valley. Having an interest in Western history, he became a volunteer at the William S. Hart Museum in 1994. In 1996 he joined the board of directors for the Friends of Hart Park, the volunteer fundraising support organization for Hart Park and the Museum. Working closely with the City and Parks & Recreation, Jeff and his wife Pam have promoted the concerts at the Hart Mansion during Cowboy Festival for 16 years, as well as helping with other fundraisers such as Silents Under the Stars and the Hart Park Powwow. All the moneys raised from these events go to improvements in the park, Hart Hall, and the Hart Museum. Jeff has also worked on the local SCV Boys and Girls Club auctions and the yearly Children’s Hospital of Los Angeles fundraisers. He has been recognized by Congress for his contributions to the American Folklife Center’s Local Legacies Project; by the American Red Cross for assisting earthquake victims; and he received the Patriotic Service Award from the Department of Treasury for his patriotism. Jeff was named a Volunteer of the Year for Los Angeles County, and has received many formal commendations from Los Angeles County Parks & Recreation for his service and dedication. He is a regular contributor to the Friends’ “Hart of the Matter” newsletter, and he oversees the insurance side of things for the Friends of Hart Park and Museum. Doris Marie exemplifies what College of the Canyons is all about. She went back to school later in life, juggling the responsibilities of work and family to complete her Master’s Degree through the University Center. She is an example of perseverance for students who find themselves in similar situations. 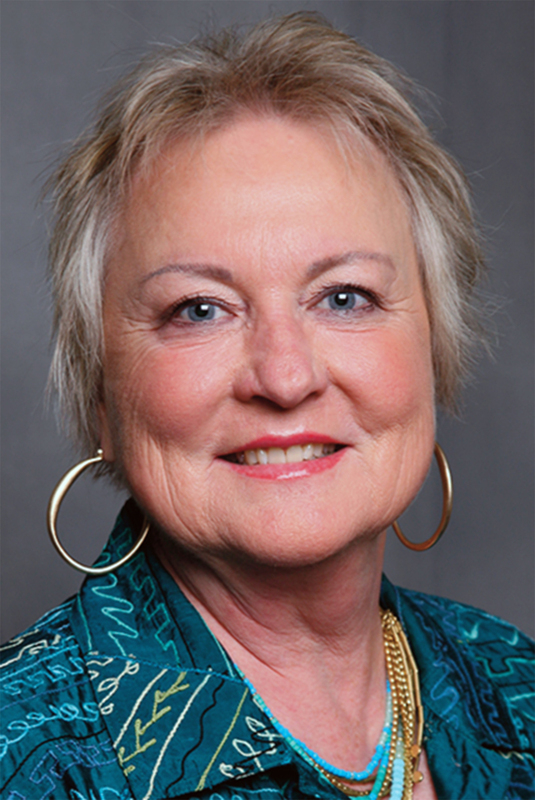 Doris Marie’s willingness to help is evident in all that she does for College of the Canyons. She has provided leadership for the Foundation Board retreats over the last three years providing board members with the necessary training and skills they need to be effective volunteers. Her efforts have resulted in a more engaged, energized, and motivated group of volunteers reflecting the success the Foundation has experienced during her tenure as board chair. Under her leadership, the Foundation has generated substantial resources to support the campaign for the college’s new Culinary Arts building as well as student scholarships. Her strategic thinking and vision has provided the leadership in the development of a new strategic plan allowing the Foundation to become more focused on fundraising priorities. In addition, she raised over $10,000 in the recent Dancing with Our Stars event in support of the college’s K-12 Arts Education initiative. When talking with Doris Marie, it is clear that her involvement stems from a sincere motivation to help others and make our community a better place to live. Her attitude is infectious and inspires others to pitch in and do what they can to help.